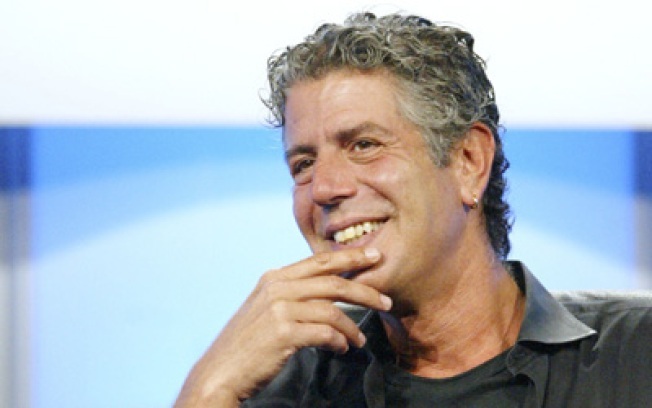 Anthony Bourdain hauled his crew to East Village dive staple Sophie's for an episode of "No Reservations" -- which means the bar is offically on deathwatch. Now that Anthony Bourdain's No Reservations has descended on E-Vill dive Sophie's as part of a tour of classic NYC haunts, we can be sure it'll close within the next six months -- just like the last bars he visited (the Holland, anyone?) -- causing one blogger to suggest the bad-boy chef has "reaper powers." Is anyone else having a hard time keeping all the hookers straight these days? Some actually did Eliot Spitzer, others are just trying to get a little contact fame . So it is that magically, just days after Ashley Dupre's weepy sit-down with La Sawyer, Natalie "$2,000 an Hour" McLennan's escorting memoir comes out today. Coincidence? And speaking of an unquenchable thirst for all-encompassing fame, spawn-of-Bushnell Julia Allison Twittered that she's "At Obama's Chicago headquarters RIGHT NOW." Williamsburg is crawling with Euros (the people and the currency) and the "locals" are up in arms. Yeah, 'cause that's what's ruining Williamsburg -- the Europeans. This is seriously cool: Workers at the Museum of Natural History have been folding paper since July to bust out the 30th annual origami Christmas tree. Gothamist has a gallery. The challenge: Coming up with new angles for Obama stories. Oooh, here's one: Hey New York chefs, what would you serve at the inaugural dinner? More holiday windows unveiled! The store: Macy's. The theme: noel behind the scenes, featuring "touch-pad technology" and a "look at the magical ways the elements of Christmas such as snow, stars, tinsel and ornaments are created." Huh?